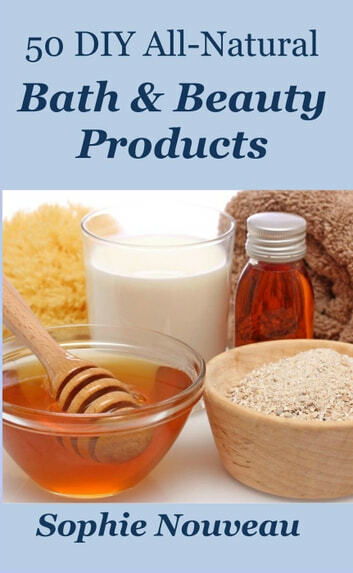 50 DIY All-Natural Bath and Beauty Products uses ingredients found in your kitchen combined with essential oils to make skin, body and hair care treatments that are not only safe to use but budget and eco-friendly. 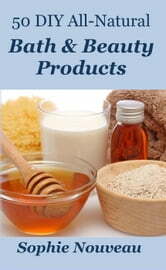 These easy to follow recipes show you how to make aromatic bath salts, luscious toners, tantalizing facials and delicious scrubs such as Oatmeal Lavender Milk Bath, Cranberry Lemon Bath Salts, Decadent DIY Chocolate Facial Mask, and Olive Zest Body Scrub. Treat yourself, and your friends and family to these super 50 DIY all-natural bath and beauty products today.